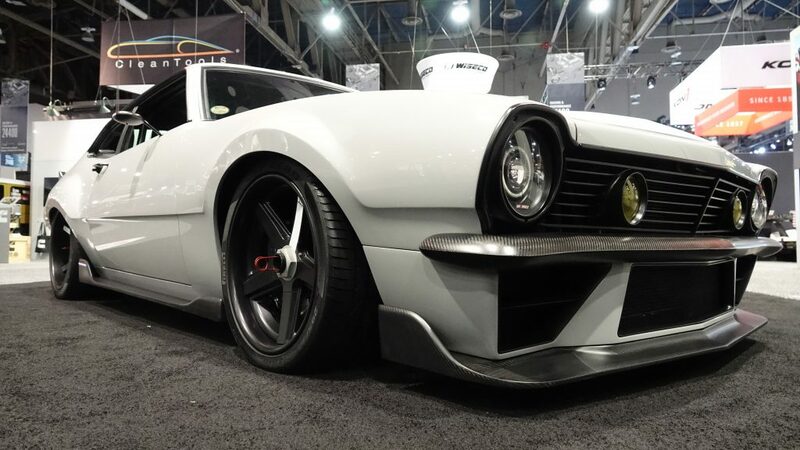 All of us at Round Six have been to many, many SEMA shows in the past. Each time, we always had the usual credentials, which only allow access to the show floor and adjacent areas during the show hours. On our way out of the show at 5pm each year, we would always see a select few heading back into the empty show floor to photograph the cars without anyone else around. We were always jealous of those lucky few who had that opportunity. This year, our dream was realized, with the help of a great friend who believes in our ability. This awesome individual was able to score us “ALL ACCESS” passes to the show! The “ALL ACCESS” term means that we could go anywhere in the complex at any time, throughout the week. The agreement was that the passes would be needed to do a required task for him during the show. We quickly determined that even though it was something that was going to require some work on our part, we looked at it as being more of an honor. This “task” was being a part of something very special that few people will ever experience. 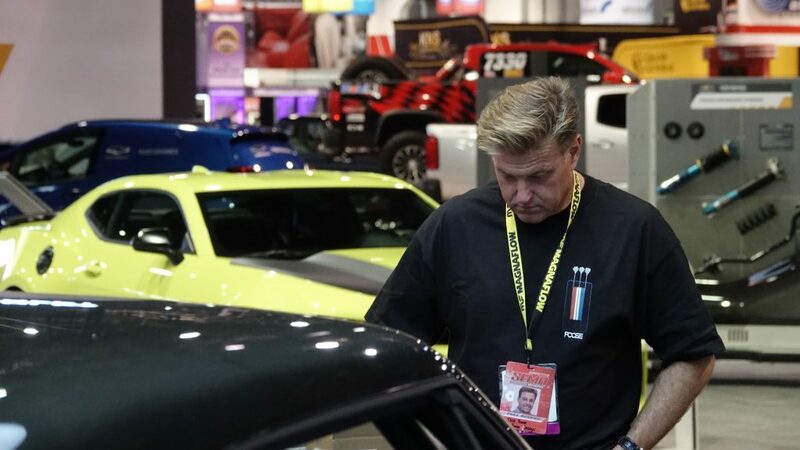 For the last four years, Chip Foose (hear him on episode twenty of the podcast) has been the judge for the prestigious BASF Glasurit Best Paint award at SEMA. Chip has been a long-time user of BASF products in his own business. 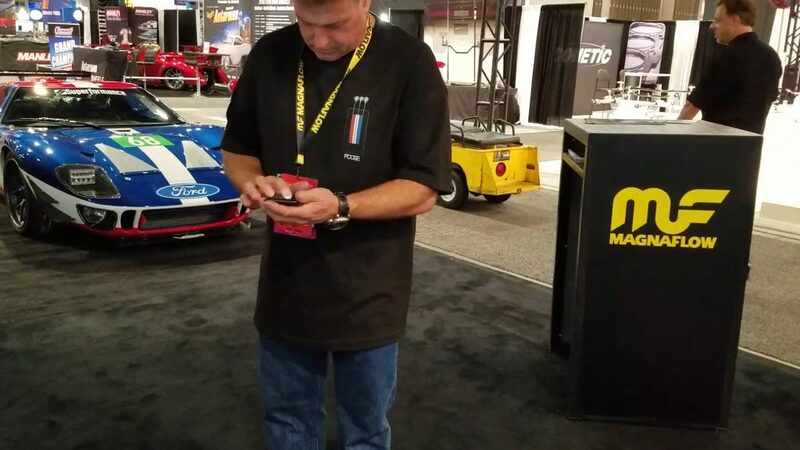 Even farther than that, it goes back to his father Sam, who exclusively used R-M products in his own shop. 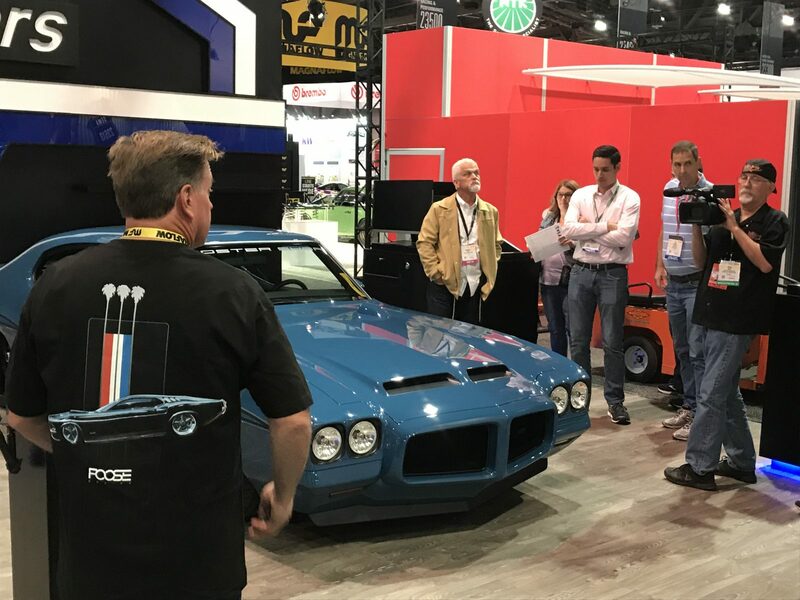 Chip’s task as the lone judge of the competition is to rate the selected vehicles based on fit and finish, quality of preparation, and final presentation. This year’s group of 8 finalists were all phenomenal, thus making Chip’s job of picking only one winner very difficult. Because this had to be done in relative secrecy, the plan was to do it on Tuesday night at 9pm. At that time of night, very few people are in the building and all of the cars are completely accessible. 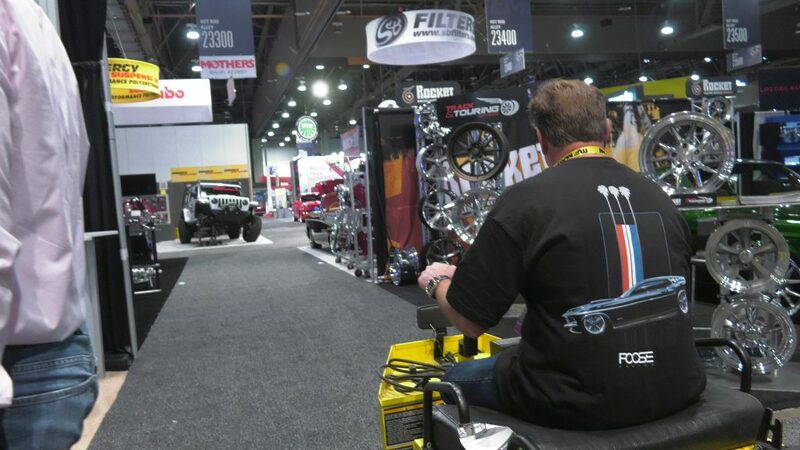 The plan was to meet at Chip’s Foose Design trailer in front of the Convention Center. Like clockwork, the players began to assemble. Carson and Aaron Lev of Redphin Productions rolled up, followed by a group of BASF Corporation executives. We headed out as a group to find our mode of transportation for the night. We were told that the electric carts were located by the loading dock area between the Main Hall and the South Hall. After the long walk to get there, we found that there were no carts at all. We continued walking until we got to the back fence of the facility and found the Electric Cart Graveyard. We called it that because it was a sea of electric carts haphazardly clustered in a mass that looked liked a floating oil slick. Some were plugged in, most were not. We had to pick only the narrow-width carts because they had to fit through a normal sized door to get inside the building. There was a huge problem. All of the carts were gridlocked and they are unbelievably heavy. We had to unshuffle the group like a giant Rubiks Cube to get the carts out. This had to be done manually because there were no keys, except for one lone cart. That single key was pivotal. The Round Six crew and Chip used their hot rod skills and got all six carts operational with that single key. The clock was ticking, and it was time to get moving. The grin on Chip’s face when he got behind the wheel of his cart was priceless. With 6 functioning carts, we headed back towards the Main Hall. Of course, Chip decided that there needed to be a competition to get there. To say that he made it exciting would be an understatement. One we got into the building, order was restored and it was time to get down to business. The Event Coordinator had a list of the candidates, along with their locations on the show floor. Over the course of the next few hours, we went from vehicle to vehicle. At each stop, Chip would do the same thing. Get out of the cart, walk around the vehicle, check the gaps, look over the paint at different angles, and open the door and check the jambs. Nobody in the group interfered with him during this period because he had a task to perform. When he was done, he would type his notes into his phone and head to the next vehicle. He made a serious effort to judge every vehicle fairly and consistently. 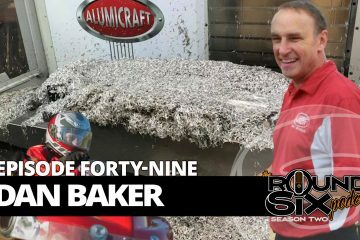 After he had judged the final vehicle, Chip asked Brian, “Have you ever seen the Impostor?” To those who don’t know what the Imposter is, it is the 2015 Ridler Award winner that Chip built. 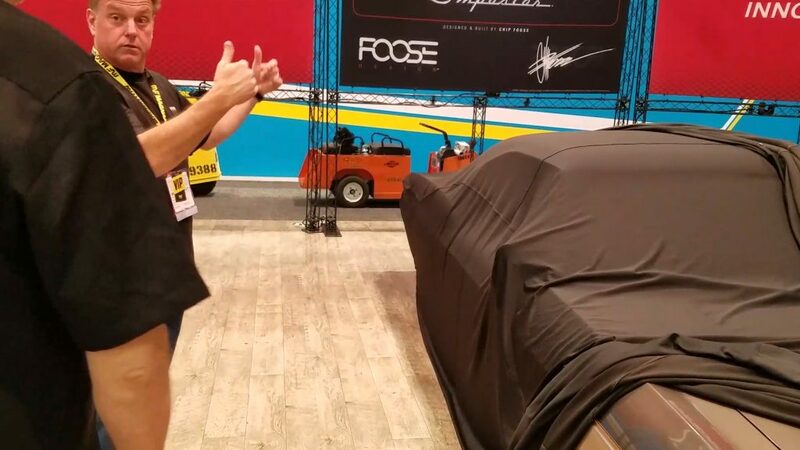 Like a proud artist, Chip carefully pulled the Covercraft car cover off of the 1965 Impala and proceeded to give us a 20 minute tour of his masterpiece. 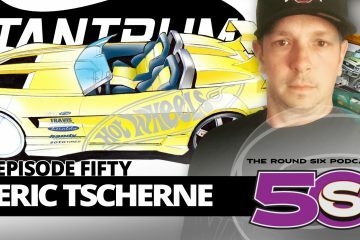 Naturally, the Round Six guys were hooked and asked tons of questions about how he did certain aspects of the car. In person, the car is beyond words. 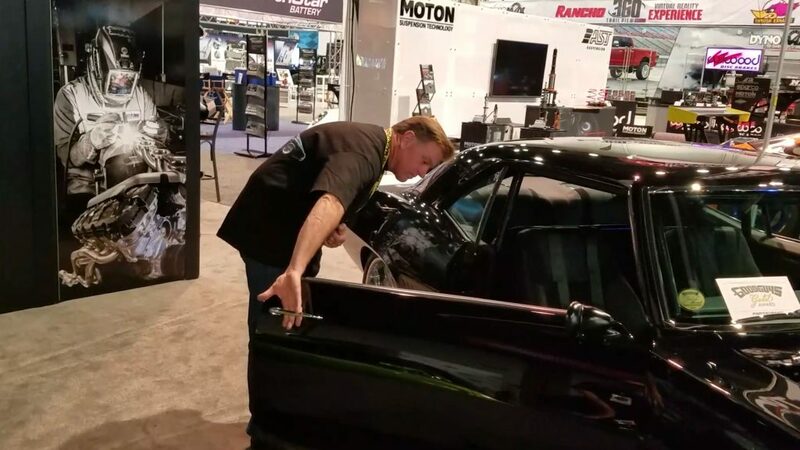 We could tell by Chip’s excitement level that this car is very special to him. It was a 6 year labor of love, and it shows in every amazing detail. 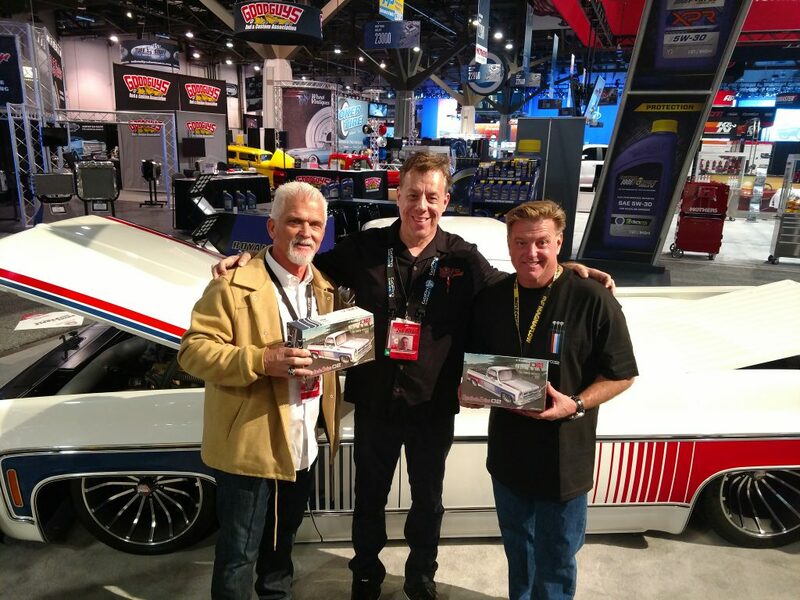 To have the winner of the prestigious Ridler award give you a tutorial on his winning car was beyond surreal. The finale of the night was the decision making process to determine the Best Paint winner. Because this was a private matter, we backed off and let the appropriate people do their job. After the votes were tallied, the group got back together and we checked out some of the amazing cars in the BASF booth. Not once did anyone ask Chip about his pick for the winner. We would all find out who won when the winner was officially announced by BASF the next day. Chip spent a few minutes signing posters for the BASF execs. 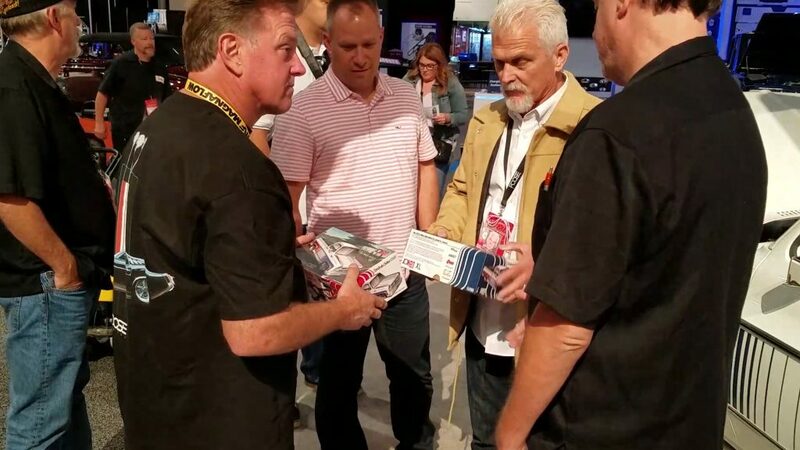 If you’ve ever been around Chip during a signing session, you know that it can take awhile. Chip always takes the time to make everyone’s experience special, and no two signed items are ever the same. Everyone from BASF who got things signed got something original and personal. On our way out of the building, Brian had arranged a surprise for Chip and Carson. 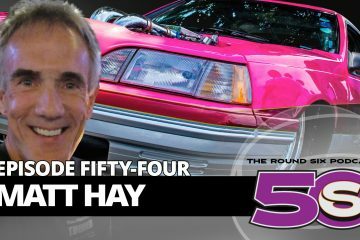 Brian had done a lot of work for Joe Yezzi of Squarebody Syndicate, who debuted an awesome Indy replica C10 in the Royal Purple booth. Part of this work included a brilliant giveaway gift idea that Brian had designed. As kids, we all loved building models, and the gift was a throwback model box of the Indy truck with a T-shirt and other items inside. It was the talk of the show and everybody wanted one. Thanks to the great guys at Squarebody Syndicate, they covertly put two boxes inside the truck. As we rolled up, Brian casually opened the door and handed the boxes to Chip and Carson. They were both blown away! We wound up back at Chip’s trailer, and he went inside to get a few personal items. Chip even grabbed a print of one of his renderings and signed it for Brian’s son, Danny. We chatted for a couple more minutes, and then decided that it was getting late. It was nearly 1am, and we all had to be back at the show in a few hours. All of us were dead tired, but it didn’t matter. We had just experienced something special. We at Round Six will forever be grateful to Carson and Aaron Lev for allowing us to be a part of this. 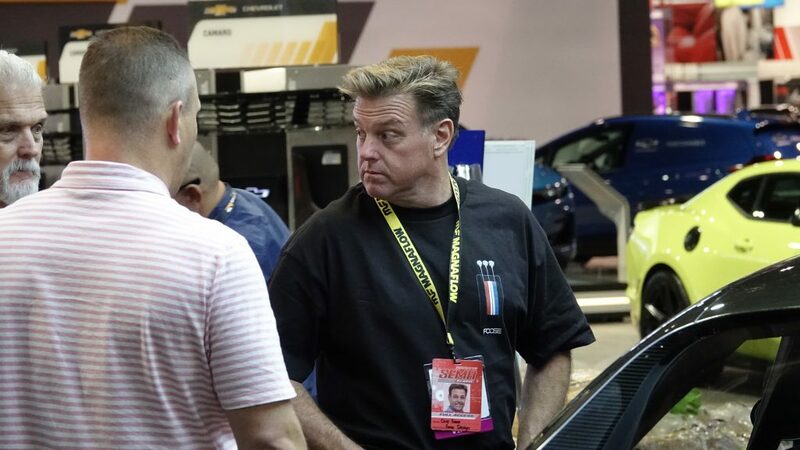 And we will also be deeply indebted to Chip Foose for letting us into his world for a while and giving us a night we will never forget. Congratulations to Jesse Greening for winning the BASF Glasurit Best Paint Award for 2018. As soon as we saw your car, we knew you were the one to beat. Chip must have copied off of our mental scorecard!